Lovely photo. Would love for the video to be uploaded soon. I had chanced upon a concert video of yours on Youtube. 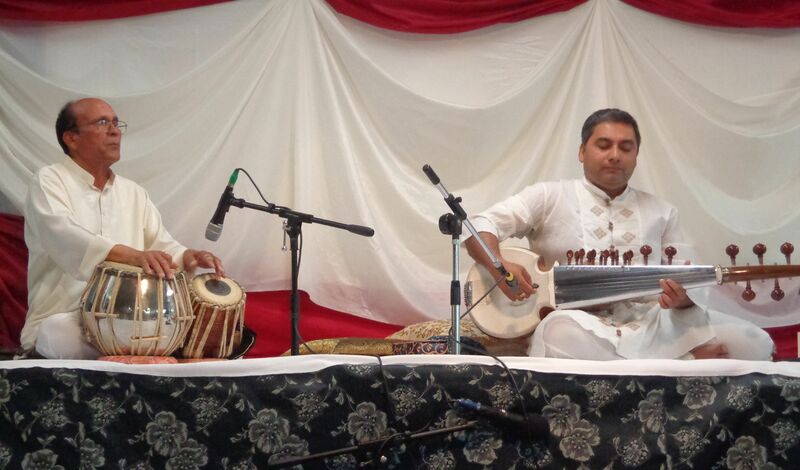 The gentleman on the tabla was the same as in the photo and you were in a red kurta. Your videos are indeed gems as they are a hallmark in the preservation of the Ustad Amjad Ali Khan style with special emphasis on his unique bandishes as well as his impeccable execution of ekhara taans. I specifically remembered you rendering his Kalavati, Durga, Desh, Tilak Kamod and Jhinjhoti bandishes with consummate ease. What sarodias should note are the musicality involved in the way an AAK performance is structured. The compositions in their entirety capture the essence of the Raaga and this liberates the performer from the highly cluttered and somewhat claustrophobic nature of ICM which is its greatest weakness. You also moved into the Desh based Tagore song ‘Esho Shyamala Sundara’ and used AAK’s bandish as a complimentary melody. Goes to show how adaptable Ustadji’s melodies are. 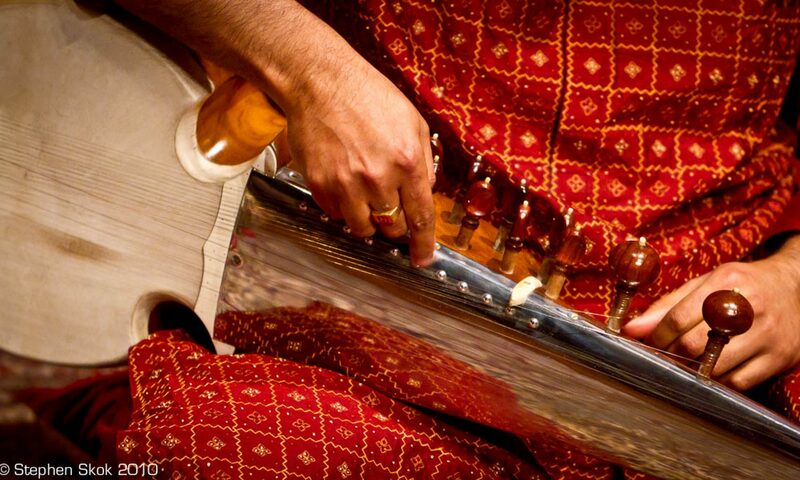 In a sense one can get a fulfilling and immensely satisfying experience from the AAK sarod as opposed to any other school of music that I have heard till date. He interweaves so much depth as well as a recognisable sense of emotive musicality which is often sacrificed by the majority of artists in trying to show off their ‘virtuostic raaga knowledge’. Case in point is Ustad Ali Akbar Khan. Vilayat Khan in some of his recordings ( Maand Bhairav, Bihagda, Bhairav Bahar) suffers from the same malady. However unlike Ali Akbar he was never out of tune and his clarity and execution exceeded Ravi Shankar by miles. Infact his Darbari (which you have mentioned earlier), Yaman(1968), Gara (1978) are examples which none of the Maihar savants can ever hope to emulate. Interestingly I have been increasing my collection of AAK and came a across a wondrous Ramkali played by the Ustad at the mere of age of 35 with Kumar Bose, where he invokes the spirit of Ustad Faiyyaz Khan with the famed Unn Sangh Lagi Ankhiyan. Detractors of AAK should be advised to consider this recording. It is something that I doubt has ever been achieved in the history of Sarod in entirety. Also a very recent recording of Raaga Pilu in 2010 shows a calmer AAK with greater focus on Thumri aang Gayaki. It is another gem. Do check it out on Spotify. Previous PostPrevious On a break….